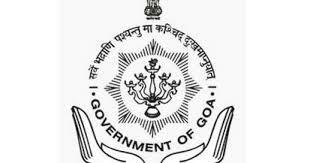 Panaji: November 10, 2018 … Goa Education Development Corporation has announced that the Interest Free Education Loan (IFEL) Scheme for the Academic year 2018-19. The date of issue/sale of Renewal form is extended upto November 23, 2018. Further date of submission of all Fresh and Renewal Forms is extended upto December 7, 2018. The complete forms should be submitted in this office on or before December 7, 2018 alongwith photocopy of all the documents mentioned in the Brochure and also soft copy on CD (each document) should be more then 100 KB and less then 2MB in size and it should be Jpg or PDF file format. The forms will not be accepted after December 7, 2018. In case of students studying abroad, the Power of Attorney Holder (parents) may fill the application form and submit them in the office.